HERSHEY, Pa. — As the winter cold season melts into seasonal spring allergies, many people may start to experience sneezing, wheezing and other breathing difficulties. Sometimes, the trouble goes away after a few days, but if it lingers or recurs, asthma could be the culprit. Dr. Joyce Green, a family medicine physician at Penn State Health Milton S. Hershey Medical Center, said the condition can develop in childhood or as an adult. About 75 percent of cases are diagnosed before the age of 7. Many children would then experience remission around puberty, but it can still come back later in adulthood. For some, they would develop asthma later in life. “A big difference is how they experience their symptoms and also what triggers them,” Green said. Children tend to have intermittent symptoms, including episodes of asthma that are triggered by something such as a cold, allergies or exercise. Children seem to be more susceptible to these. Adults tend to have more persistent symptoms. A lot of times they think it is just a cold that would not go away and would not think of it as asthma. Certain types of asthma are typically diagnosed in adulthood. Some adults may develop occupational asthma, a condition triggered by irritants in their workplace. Aspirin-sensitive asthma is another type that is usually seen in adults. Children are more likely than adults to have allergies alongside their asthma. 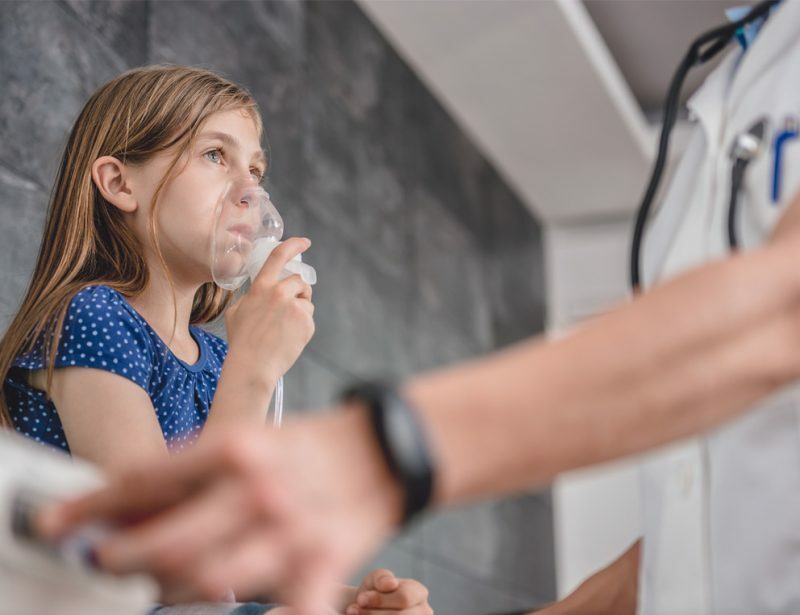 While symptoms are the same in children and adults — wheezing, cough, chest tightness, shortness of breath — children’s asthma attacks are often caused by common triggers, while adult cases are sometimes trickier to tease apart and can be misdiagnosed. In some cases, there is never a problem until the person gets a cold, then it causes persistent breathing difficulties that won’t go away. That is when it’s time to see the doctor. A pulmonary function test is usually ordered to check for lung function abnormalities and will help confirm asthma and other lung conditions. In children and adults, inhaled medication — used as needed or regularly, depending on the severity of asthma — is the typical treatment. Green said it’s also important to control the things that make asthma worse, whether those include irritants such as pollen, smoke, dust and mold, or health conditions including allergies, obesity and acid reflux. She doesn’t recommend limiting activity because of the condition.